On December 3rd 2014 in Port Harcourt, Nigeria, Keeping it Real (KIR) Foundation in collaboration with the Niger Delta Coalition of Persons with Disabilities observed the International Day of Persons with Disabilities 2014. Here are some steps companies can take to demonstrate that they choose to be inclusive. Because building an environment where everybody can succeed is not just a normal part of doing business, it provides a competitive advantage. 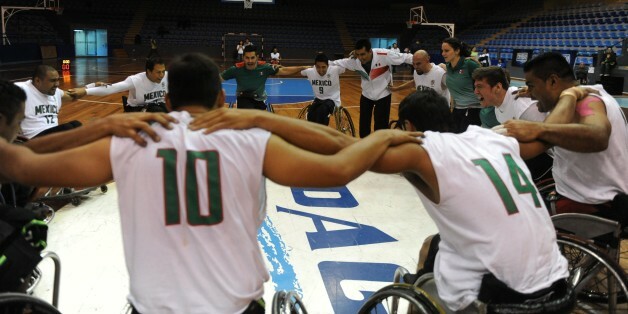 The future of sport is going to involve athletes with and without disabilities competing in sports together. Sports traditionally designed for athletes with a disability present a tremendous opportunity to also open up to include all participants -- both those with or without a disability. The vast majority face a life of prejudice and discrimination, loneliness and limitation. Our number one challenge in Special Olympics is to end that. The goal of the observance is to promote better understanding of disability-related issues by focusing on the rights of people with disabilities and the achievements they can realize from being included in every aspect of life.